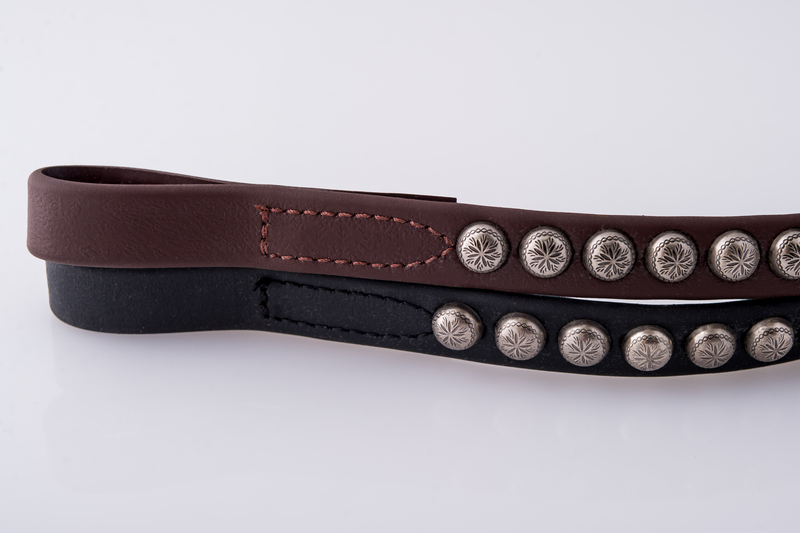 This Beta browband is made in our workroom and will match any of our Beta headstalls. We have enhanced this browband with a row of etched sunburst pattern Antiqued Silver Spots that beautifully compliment any of the following colors. Your choice of the following, Black, Brown, Chestnut, Lime Green, Hunter Green, Blue, Purple, Orange, Pink, Red, Teal, Turquoise, Yellow, and White. Available in Small-15” (Arab or Pony), Medium-15 ½”(Average Horse) Large-16 ½”(Warmblood or large Thoroughbred). 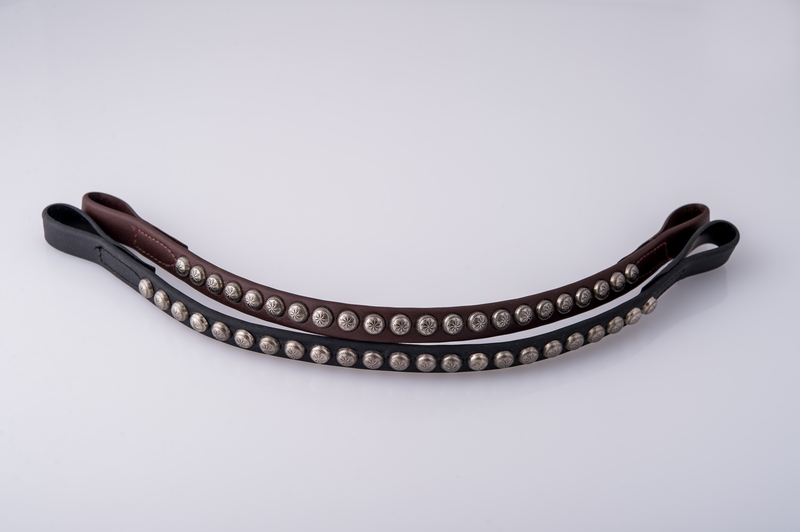 This Beta browband is made in our workroom and will match any of our Beta headstalls. We have enhanced this browband with a row of etched sunburst pattern Antiqued Silver Spots that beautifully compliment any of the following colors. Your choice of the following, Black, Brown, Chestnut, Lime Green, Hunter Green, Blue, Purple, Orange, Pink, Red, Teal, Turquoise, Yellow, and White. Available in Small-15” (Arab or Pony), Medium-15 ½”(Average Horse) Large-16 ½”(Warmblood or large Thoroughbred).